Sometimes I need food and I need it fast, before hunger-induced insanity turns our home into an insane asylum. 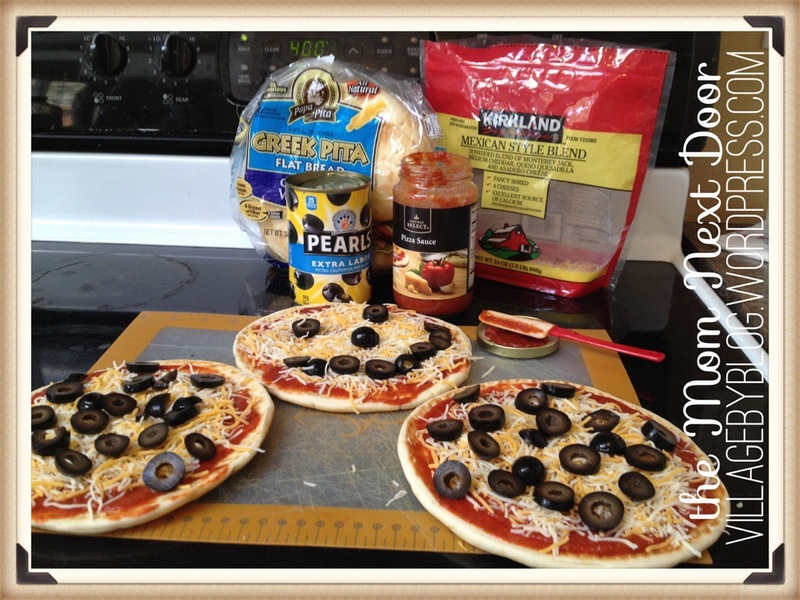 One of my go-to meals for hunger emergencies is flatbread pizza – because of speed (bakes in 5 minutes) and simplicity (requires 3 basic ingredients). It’s not made-from-scratch-organic but it’s much healthier than fast food and it’s healthier than insanity, too. *Optional: olives, pepperoni, pineapple, spinach, chopped tomato, chopped veggies, Parmesan, red pepper flakes, or anything else you can dream up topping a pizza with. 2. Spread sauce and sprinkle cheese on flatbread. If you’re feeling up to it, add some other toppings, too. 4. Let cool, cut into slices, enjoy, and reclaim your sanity. Easy as pie. Although pie isn’t so very to make, so it’s actually easier than pie! Smiley faces make smiling faces. 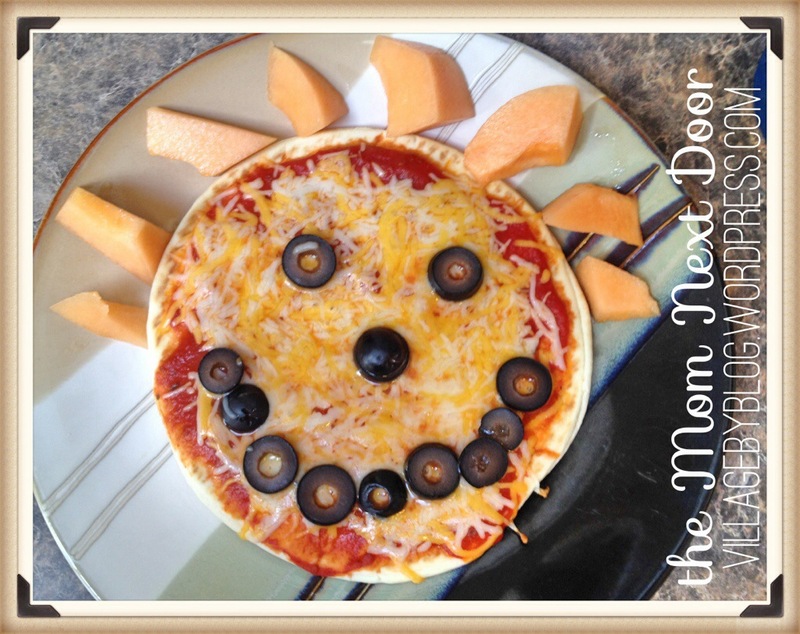 I was inspired my daughter’s edible art featured in my recent post Playing With Food is Fun. I made a similar smiley face with her pizza. I sliced up cantaloupe during the 5 minutes of bake time, and used it for the crazy hair in my masterpiece. This recipe also works well for family nights: It’s healthy, fast, and fun. 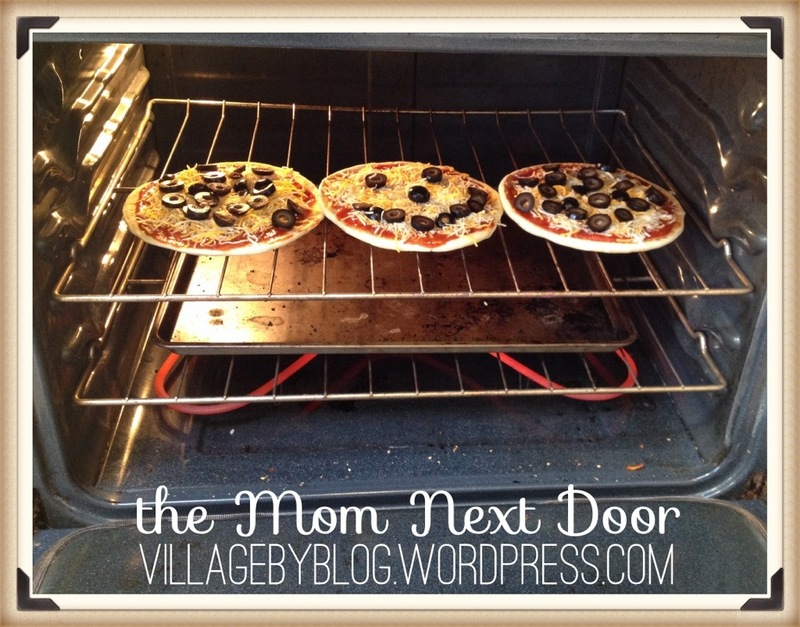 Put out a variety toppings and watch the kids (and your spouse) enjoy making their own pizza just the way they like it.